Former Fiesta ST Trophy champion Sam Bilham is set the to tackle the toughest event on the British rallying calendar after lodging a last-minute entry to contest Wales Rally GB National (5th/6th October). 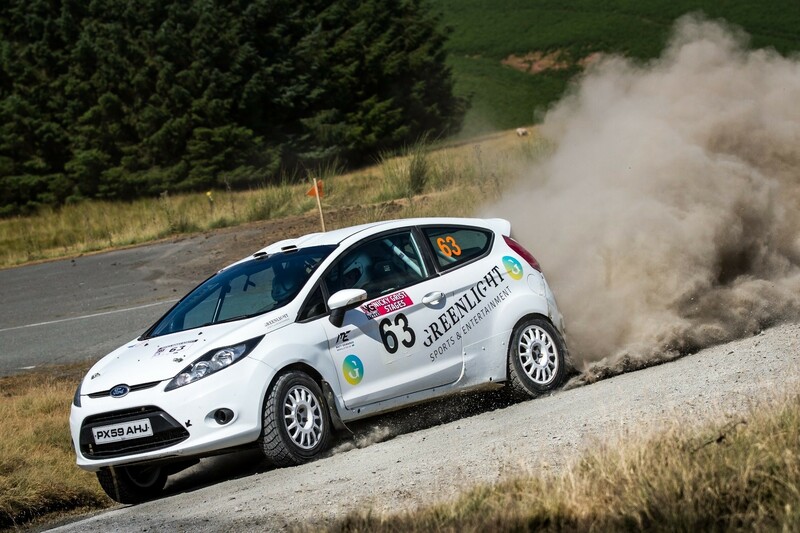 The 2016 English Rally Champion has secured a deal to drive a Ford Fiesta R2 on the gruelling event which takes in two days of the FIA World Rally Championship qualifying event in Deeside near Chester. The rapid Fiesta is the same car that he used to take to second in class during his last outing at the Nicky Grist Stages in July. Both deals were made possible thanks to The Swift Group, Greenlight Sports and Entertainment, ME Rallysport and the car’s owner Peter Smith. The 21-year-old has had a quiet year behind the wheel as he attempts to build funds to acquire a new car for a 2019 campaign. After winning the 2300 Club John Easson Award in 2016 and the Fiesta Trophy the following year, Bilham’s outings have been limited to one-off drives during the season. A class win at Rally North Wales in a Vauxhall Adam Cup was followed up with his impressive effort in the Fiesta at the BTRDA qualifier in July, but now Bilham will take on one of the biggest challenges of his career and will be joined by his fellow ST Trophy co-driver champion Cameron Fair. Wales Rally GB is at the pinnacle of the sport in the UK and is known the world over for its demanding stages, tough route and unforgiving terrain. With the best drivers in the business heading to the event for the penultimate round of the WRC, the National event will take in the Friday and Saturday leg of the route, offering classic tests in the Penmachno, Dyfi and Myherin forests. Bilham sees this as not only the toughest test of his ability during his motorsport career but a real honour to contest this prestigious event. “As a kid, all I ever really wanted to do was compete on the RAC Rally as it was known then and here I am, all set to drive a Fiesta R2 on this very event,” says a thrilled Bilham. “I know so many people say this but it really is a privilege to contest the rally and to do so in a modern-day R2 car is unbelievable. I really must thank the Pete Smith for this opportunity to drive the Fiesta again. Even though I had never driven the car before, I felt really at home behind the wheel on the Nicky Grist so hopefully it won’t take me long to acclimatise again”. As if the challenge of a world-class event wasn’t enough, Bilham will face almost double the mileage of the BTRDA event’s he is used to but is ready for the task ahead. “This is going to be unbelievably tough on both me and the car, I’m under no illusion of that,” he says. “There is 84 miles ahead of us, some of which could be under the cover of darkness so I really do think that aiming for finish will be my top priority during the weekend. I don’t really have many expectations of a finish, but I’d just like to complete the stages and get myself across the finish in Deeside on Saturday night. It won’t be easy but I`m ready for the challenge and I’m sure I`ll enjoy every single moment of it”. Sam is supported by Calvert Construction, Reis Motorsport Insurance, DMACK Tyres, The Garage at Stanley Mills, Gareth Hooper Motorsport Services and Leighton Vans.